I think it’s time that I took ‘Welsh (fluent)’ off my CV. Yesterday my housemate asked me to say something in Welsh. I tried to say ‘I’m in my flat, frying vegetables’ but couldn’t think of the word for vegetables, or flat and the verb ‘to fry’ is adapted from the English ‘ffrio’. All my education from age 3 to 16 was in Welsh – I scored top marks in Welsh language and literature exams – but I can no longer speak it. Last week, I learned my atrophied tongue is not alone; I am part of a trend. A report published by the Welsh Assembly shows only 50% of Welsh speakers aged 16-24 consider themselves fluent. Only a third use it socially. Mainstream political support for the language is now reflexive and uncritical. Welsh politicians and the commentariat are alarmed at the failure to make Welsh a “living language”. Their solutions to the problem are inspired, considered, informed: speak it more, make it more relevant, use it more on Facebook and Twitter. The Welsh Assembly announced the allocation of three quarters of a million pounds to develop Welsh technology apps. Despite significant funding and policy efforts, the language is in decline. Between the 2001 and 2011 census, the proportion of Welsh language speakers fell by 2%: 19% of the Welsh population now claims they can speak Welsh. I stress ‘claims’; it is possible that these figures are inflated. Welsh nationalist rhetoric creates aspiration to speak the language; the population is told that it is part of their identity, their heritage (“the very essence of who we are” - Heritage Minister Alun Ffred Jones speaking in the EU Council of Ministers). This is demonstrated in the WA report: participants’ reported desire to more frequently speak Welsh is stoked by aspirations to stronger cultural, historical and personal identity. 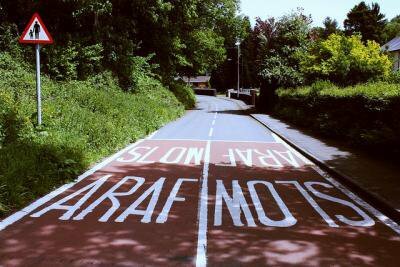 If identity is the populist vehicle for the Welsh language, at the wheel is, in fact, ‘status’. Fevre, Denney and Borland identify a small middle-class status group, the Welsh Class, as the promoter and beneficiary of Welsh nationalism. This status group is socio-economically advantaged and is concerned with the honour and prestige of its language and culture. It is the community at the heart of Welsh nationalism, and has succeeded in normalising the aspiration to belong to an amorphous national community whilst remaining aloof as the arbiter of its high culture. To justify the political and financial investment needed to expand the language, to rhetorically extend it to everyone in Wales and to facilitate its use in all public spheres, the Welsh Class and policy makers promote myths about the instrumental benefits of learning the language and inscribing its public use in statute. Politically, this instrumental discourse has been successful, as it has received significant funding and policy commitments. However, the instrumental myths that legitimate funding and policy are based on naïve or willful misinterpretation of research. Uncritical parents internalise these myths; Welsh-medium education continues to expand, but the language is still in decline. Last week’s Welsh Assembly report demonstrates that Welsh education does not create Welsh speakers. If, then, all this funding and policy doesn’t benefit the language or culture, who does benefit? Sayers notes that Welsh language policy is a social policy that does not improve people’s capabilities and does not instrumentally benefit society – it benefits a small status group, it is a conservative policy. 1. Welsh-medium schools perform better than English-medium schools. Gorard and others have published refutations of this claim. This claim is based on a comparison of raw data. When adjusted for factors such as socio-economic background - the factor most likely to affect educational achievement - Welsh medium schools perform no better than their English-medium equivalents. More generally, the Welsh education system performs poorly – below the EU average: Michael Davidson, of the OECD and responsible for PISA – an international evaluation of 15 year olds’ maths, reading and science achievement – described education in Wales as ‘bleak’. A further point that is rarely considered: the Welsh language survives because of coercion and punishment in schools because there are few, if any, economic, cultural or social incentives to speaking it – the WA report demonstrates that funding and policy have failed to create these incentives. The carrots are rotten so they resort to sticks. In my Welsh-medium school the most likely reason for punishment was speaking English; that is, you are most likely to be punished for speaking the language in which you best express yourself. This is punished by verbal aggression, humiliation and sanctions such as the loss of break time. There is a paranoid, aggressive siege mentality to the promotion of the language in schools. Whether you think that the language is under siege by a cultural imperialist or not, you must wonder whether this is the best environment for children to learn not only Welsh but other languages, maths, sciences and all the skills that provide students with a productive future. Imagine the English equivalent: two children, for example first generation British-Iraqis, in a London school punished for speaking Arabic at break time. What does authoritarian language prohibition do to a child’s perception of language, culture, education, authority? Does it facilitate or inhibit the social use of the language? For some in my school, speaking English was a defiant act, an assertion of an identity independent of prescribed nationalism; for most it was just more functional. 2. Bilingualism makes children more intelligent. Yes, it does, sort of. There is no academic consensus, but there is research supporting the claim. However, there are two types of bilinguals: simultaneous and sequential. Simultaneous bilinguals acquire two languages from birth and speak both at home. They have native-level language structures, and their control of both can give certain cognitive benefits. However, only 7% of Welsh-language primary school children are simultaneous bilinguals, a tiny minority. The majority of Welsh-language students, half of whom lose fluency when they leave school, are sequential bilinguals i.e. they acquire their second language in a formal setting. There are no clear cognitive benefits for sequential bilinguals i.e. there are no clear cognitive benefits for the vast majority of Welsh-language students. Further, bilingualism is shown to restrict vocabularies in both languages - this can be overcome by better education; again, in Wales this is shown to be sub-standard. 3. Bilingualism makes easier the acquisition of other languages. There is evidence suggesting that bilingualism increases metalinguistic ability – the awareness of language structures and sounds – which better facilitates further language acquisition. There is no consensus however; this claim is contested. Further, in research where this claim is made, education and native language proficiency are factors controlling language acquisition. Again, Welsh students, on average, perform worst in the UK. Further again, any metalinguistic ability is squandered if there is no interest in, or sufficient provision for, the acquisition of foreign languages. Welsh students are below the European and UK average for language qualifications, and the number of Welsh students studying a foreign language is in decline. 4. Welsh bilingualism makes you more employable. Research suggests the contrary. Compared to Anglophones, in Wales, Welsh speakers better achieve educational and occupational attainment, but are comparatively underpaid for those attainments. A suggested reason for this is that bilingual workers are immobile their advantage exists only in a small enclave and employers exploit this immobility. When there is a shortage of bilingual jobs in the enclave, workers migrate and lose their advantage. There is no evidence of increased workplace productivity in bilinguals, but there is a small premium for bilingual workers, which is accounted for by employers’ needs to comply with government policy. That is, there is a small premium for a small proportion of the population because some public sector jobs must comply with bilingual policy. Evidence of better employability in the private sector is weak. These negligible benefits for a minority of the population – a minority which is likely to anyway be socio-economically advantaged – occur in the context of the 2nd worst employment figures in the UK, the least productive UK regional economy and a per capita GDP decline. This is despite continued EU Objective One funding in South and West Wales, funding designated to the areas of the EU most in need of development. Wales has appointed the UK’s first ever poverty minister, as between a third and a quarter of citizens live below the breadline and besides London, Wales has the UK’s worst child poverty. In this context, Welsh nationalism is the old man in his shed busy with a hobby only he can appreciate whilst his family starves at the dinner table. Language advocates are not responsible for Welsh poverty, but they do not help as they persist with myths that the language has instrumental value to learners. It doesn’t. Thus we are faced with a generation of bilingual school-leavers who have been socialised into believing that their bilingualism is prized by society, which on examination turns out to be a rather narrowly constructed, middle-class public sector society, which rewards its own purveyors of information and knowledge. There are clear class implications in the development of an administrative bureaucracy, which is both the principal agency for change and the principal net beneficiary of change. We are now twenty four years later; twenty four years of policy and investment in the language. Plus ça change. Use of the language has increased and has perhaps peaked, but benefits to those who have learnt the language have not followed its growth. Rhetorically, the Welsh people have been invited to join the Welsh Class, but few have achieved that social movement. The economic benefits of bilingualism are limited, and limited to this already advantaged group of people. So too the prestige of speaking Welsh and the aspiration to speak it, but few are fluent and even fewer use it in a way that the Welsh Class can. Welsh language education does not, and perhaps will not, give students access to the benefits the Welsh Class enjoys – what gives students access to these benefits is class movement, something the Welsh education system and economy facilitates for few. Let’s be clear, for intrinsic reasons, I am not advocating the death of the Welsh language. When a language dies a history and culture goes with it, a unique human subjectivity is lost. But if nationalism adopts instrumental rhetoric then it must be repudiated – the literature shows that the language and culture is not instrumentally beneficial to learners. What reasons remain for its policy support are status and identity. But speaking Welsh does not, should not, connote a more prestigious or authentic ‘Welsh identity’. The idea that a middle-class bilingual from Gwynedd or Cardiff Bay is more authentically ‘Welsh’ than a working-class anglophone from Merthyr is self-evidently repugnant. Those who will claim this is not the Welsh nationalist rhetoric are naïve - this is the rhetoric used in schools, in political chambers, is implicit in policy documents and is evident in people’s reported desire to use the language so as to feel more ‘Welsh’. The preservation of the language and its minority culture may not be mutually exclusive with an egalitarian, social politics, but currently contributes very little or nothing to the lives of an economically and educationally disadvantaged majority. Patriots like to think of Wales as a nation of story and song; these are not attributes that create good policy. The country is in a mire, the elites tell tales and point at dragon shadows in the mud.